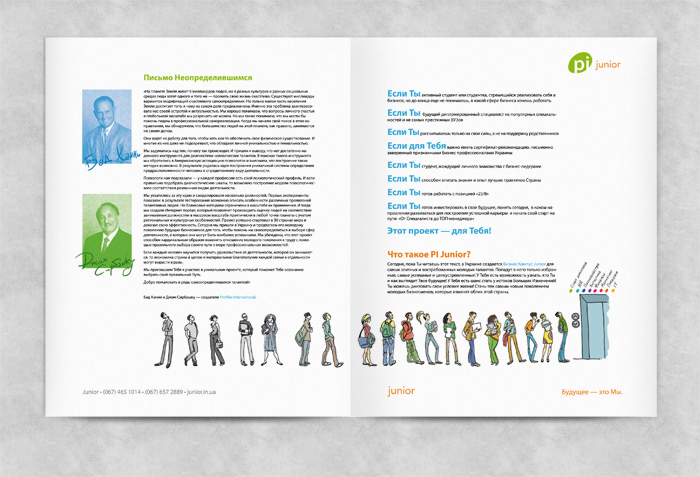 On this project we developed a professional orientation brochure for students. PI (Profiles International) Junior helps younger generation to find their professional way. 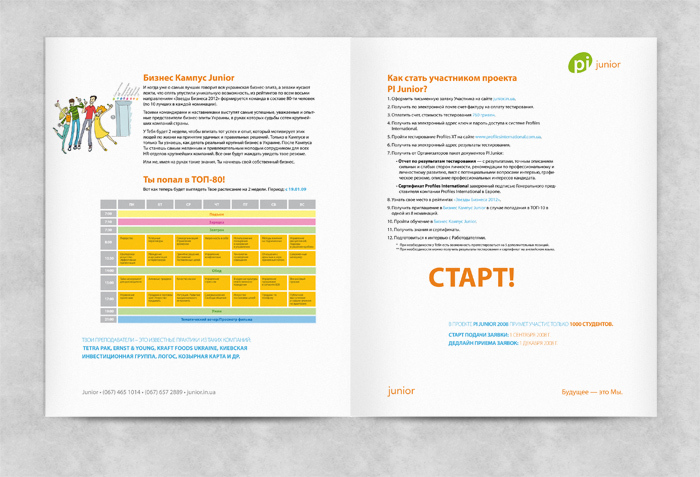 The brochure is build on sketchy illustrations and bright colors. Together with Nastia Larkina.